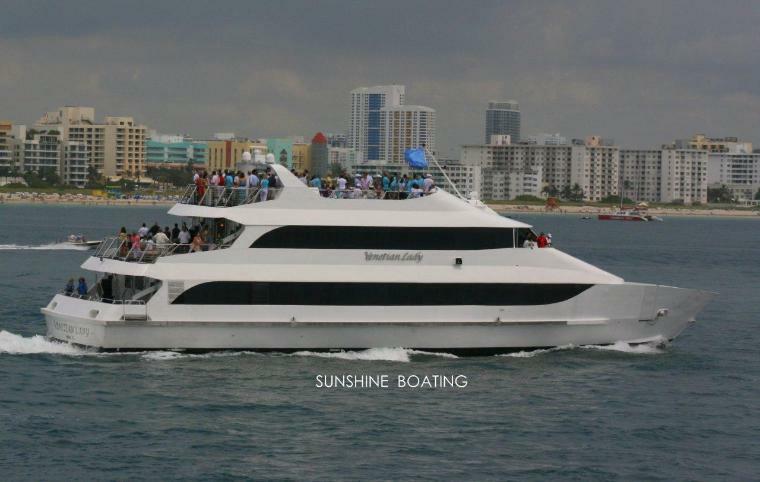 Available for 3 to 5 hours trips. 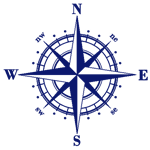 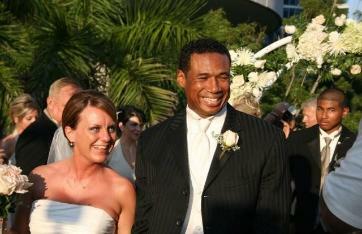 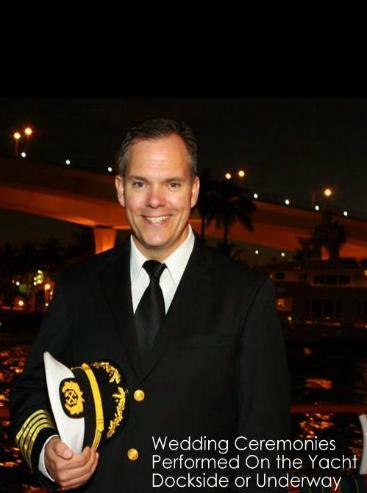 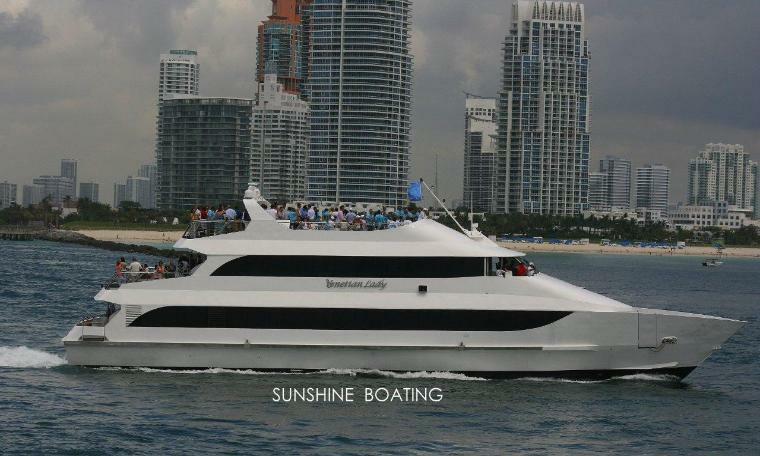 Location: Miami, FL, serving South Florida including Miami, Miami Beach, and Fort Lauderdale. 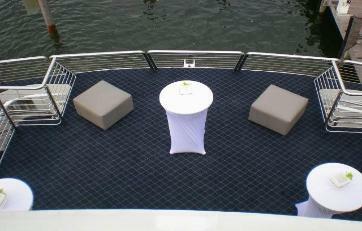 Launched in 2007 ideal for upscale groups seeking the finest yacht afloat (140 Maximum). 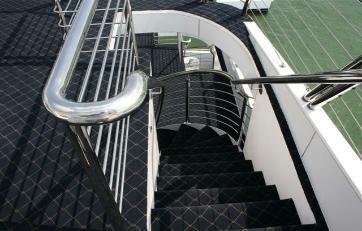 Three levels for entertaining. 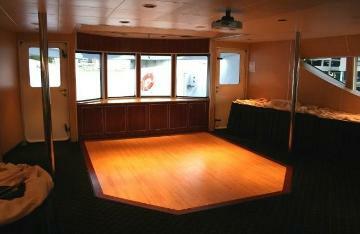 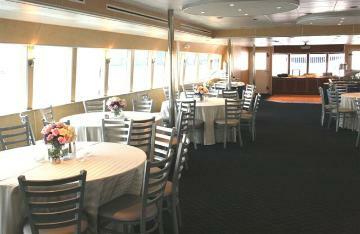 Deck one features a spacious and flexible dining room and central bar. 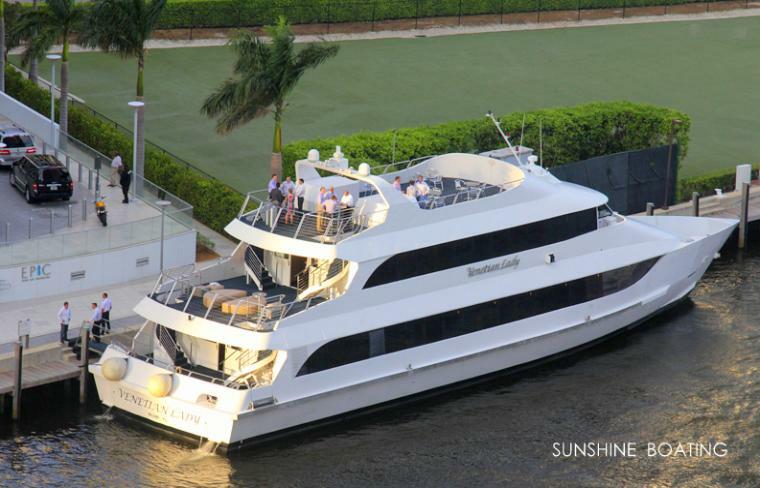 The contemporary second deck lounge has a dance floor, twin flat panel TV’s, a second bar and a nice flow out to the patio deck. 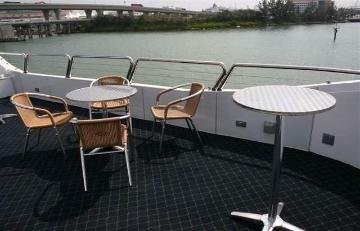 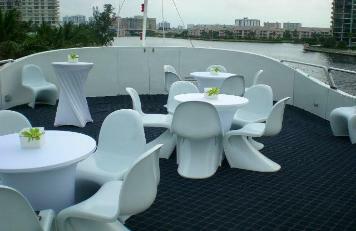 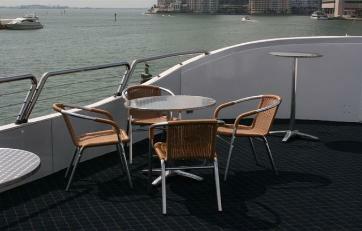 The sky-deck on deck three is where many will spend time socializing and sight-seeing. 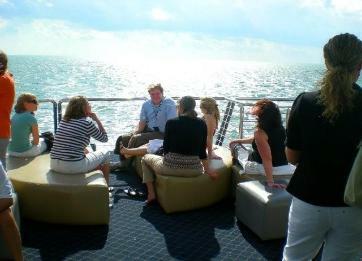 Key features include: great flow from deck to deck, high ceilings for finer climate controls, superb service levels and excellent cuisine. 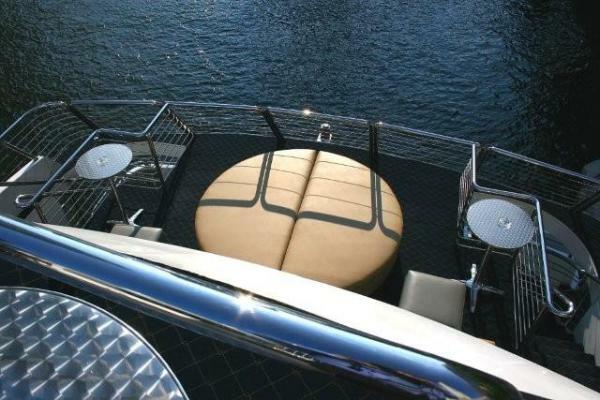 One of the finest dinner yachts in the U.S. 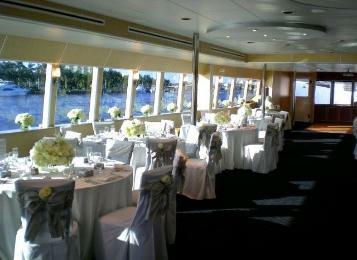 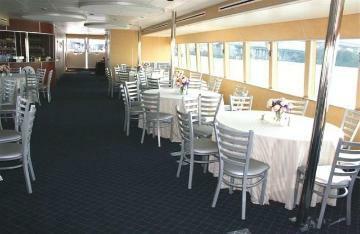 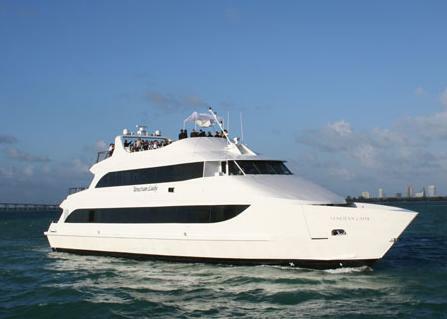 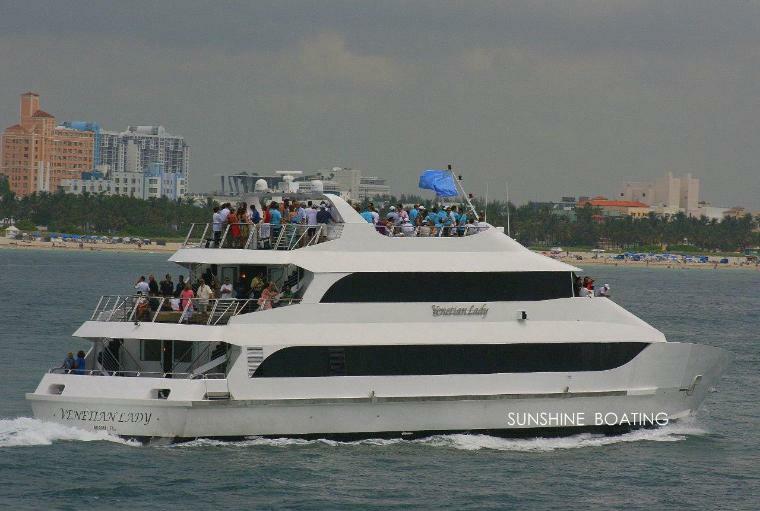 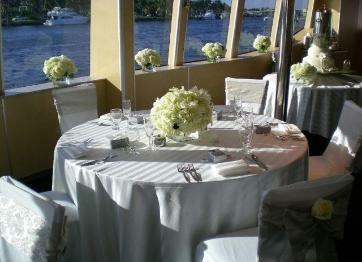 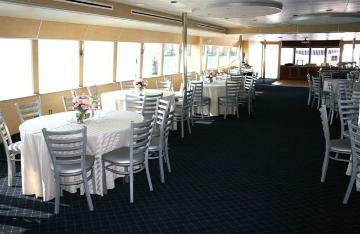 This vessel has the fine lines of a private luxury yacht and the space to accommodate 100 guests in style. 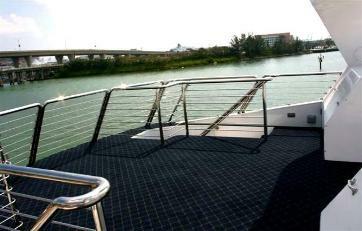 The dockside impression is as equally jaw-dropping as the interior fit and finish. 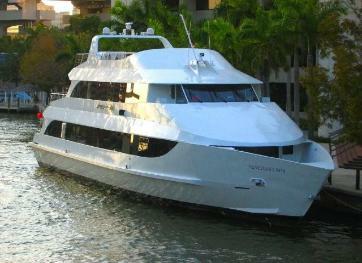 Three levels provide space for dinner, dancing, cocktails and sightseeing onboard a meticulously maintained vessel. 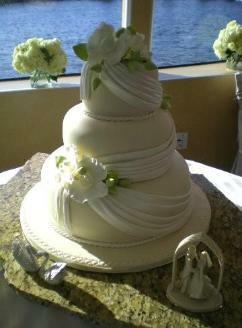 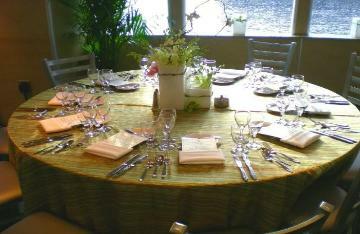 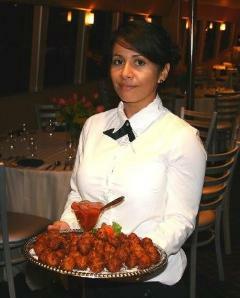 She is the ideal choice for buffet or sit down dinners ore even heavy hors d’oeuvres events. 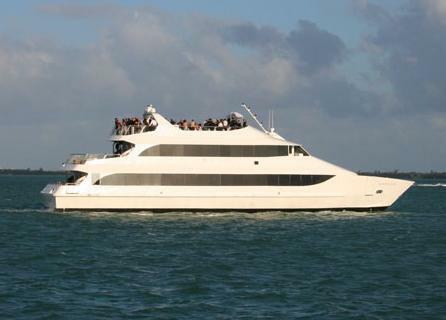 Designed and constructed solely for entertainment purposes, this yacht is ideal for corporate events, weddings and most especially for birthday or anniversary parties. 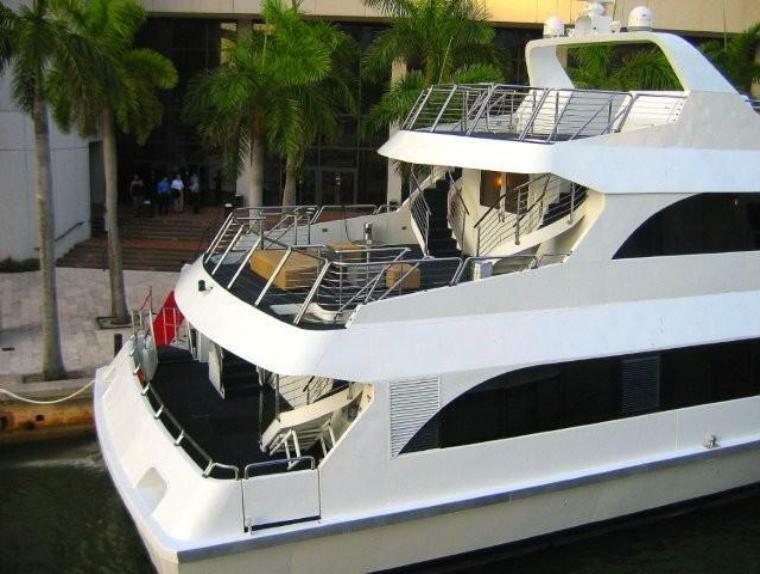 The flow from deck to deck is met with three elegant staircases and the transition from outdoor climes to indoor climate controls is well balanced with over-sized doors. 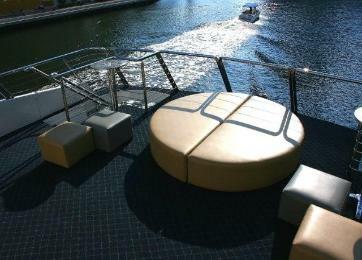 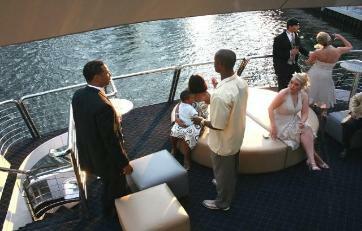 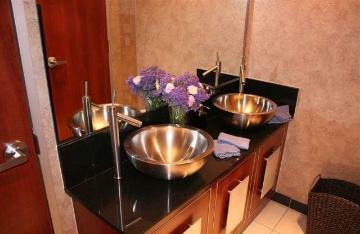 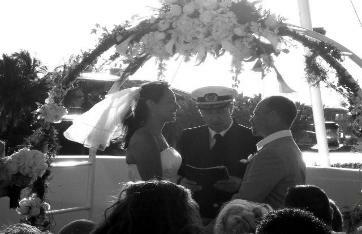 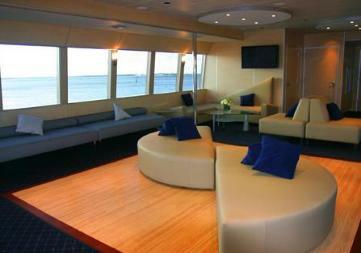 The end result is a thoughtfully designed yacht with a wonderful flow for your guests’ enjoyment. 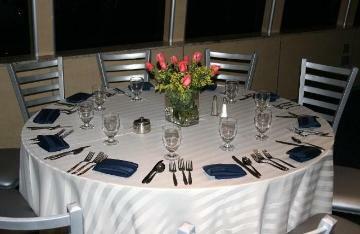 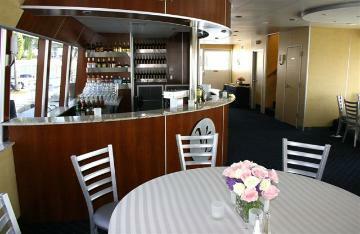 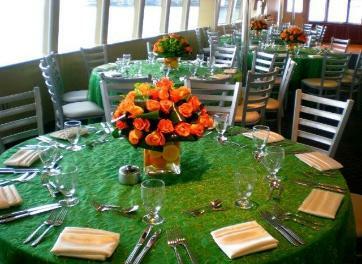 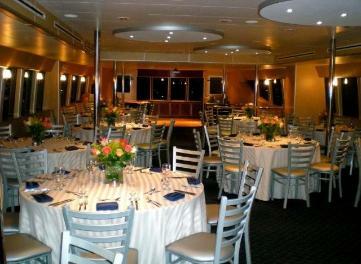 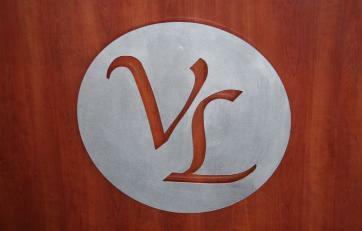 This beautiful yacht delivers amazing cuisine served by a friendly and attentive professional staff.